A co-working space that's poised to be a place to mentor and nurture the future fashion designers of Singapore. Co-working spaces are aplenty in Singapore. But none have the infrastructure in place to tailor to the needs of the fashion design community; until now. The newly launched two-and-a-half-storey Design Orchard—a combined initiative by Enterprise Singapore, JTC and Singapore Tourism Board (STB)—has officially launched The Cocoon Space. The sprawling 10,000-square feet space has been designed to house fashion creatives in need of a conducive environment to work, and is operated by the Textile and Fashion Federation (TaFF). Unlike regular co-working spaces, The Cocoon Space is tailored for the fashion community across the two levels that it occupies. The open concept of The Cocoon Space can be easily manipulated to cater to the needs of individuals or groups. 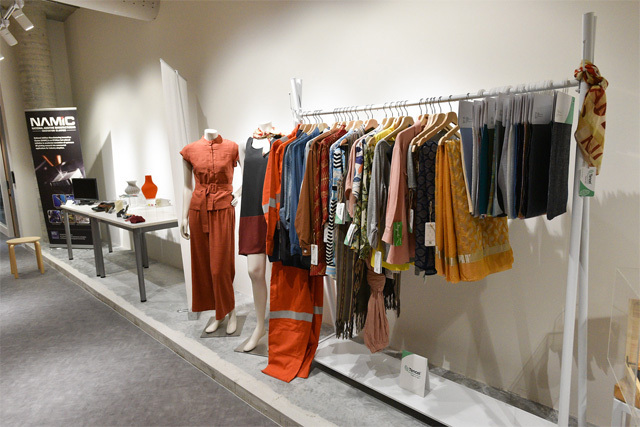 At Design Orchard's second level, the main area of The Cocoon Space features various specialised rooms that are sufficiently equipped for fashion designers. The Makers Studio for example, is fitted with industrial sewing equipment—sewing, embroidery and overlock machines, among others—surrounding pattern-making tables. 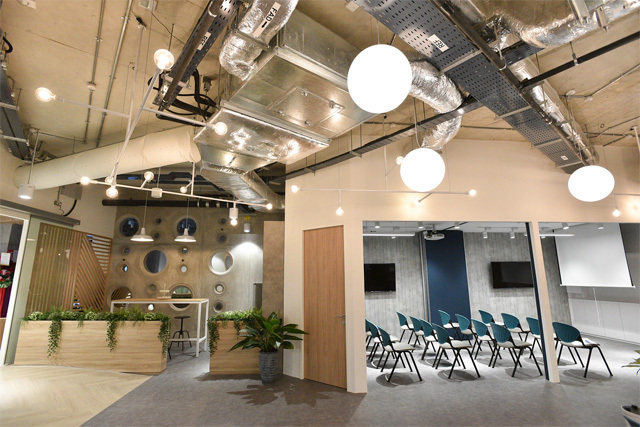 The Cave is a mini-theatre with tiered seating that's fully equipped with a projector and sound system, for small workshops and web conferences. 3D-mapping capabilities at The Cave allows creatives to explore unconventional ideas. A key feature of The Cocoon Space is in its intent of promoting sustainability in fashion. Working with the Lenzing Group—a global market leader in sustainable fibres—members will have access to eco-friendly TENCEL™ fabrics that are made from renewable lyocell and modal fibres. 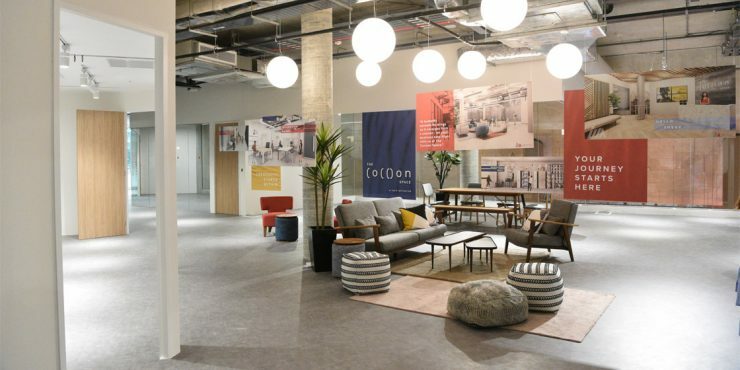 The Lenzing Group has provided The Cocoon Space with samples of its specialty fabrics, as well as information about them, at the space's Resource Wall. And with their help, designers will have better access to fabric mills and suppliers who specialise in eco-friendly materials, in order to incorporate them into their designs. The Cocoon Space is also a place where they can receive mentorship from industry insiders, spanning a wide variety of expertise and not only fashion design. The Bridge Fashion Incubator (TBFI) programme is the first of its kind in Southeast Asia and is a TaFF initiative. A Resource Wall to experience sustainable fabrics and what they could potentially be used for. From now until 3 May 2019, fashion brands, fashion-tech, and fashion-retail ventures can apply to be part of the 30-week long programme. TBFI is specifically looking for companies that are focusing on sustainability, innovation and the re-invention of the fashion value chain; potential industry disruptors. Because the world of technology and fashion has been increasingly intertwined, TBFI has brought together mentors the likes of product and solutions development professionals, technology specialists, and venture capitalists. Former fashion designer and founder of womenswear label Hansel, Jo Soh will lead the programme, and work alongside resident mentor (and Esquire Singapore's podcast panelist) Debra Langley. Both will assist participants in connecting with relevant insiders to ensure that their business has the potential to capture the interest of investors and scale internationally. 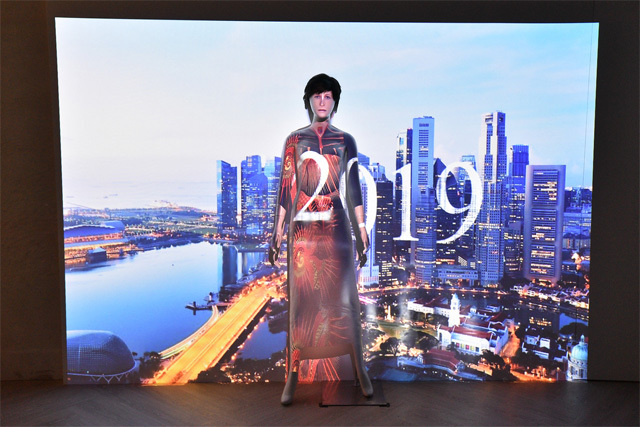 With all these initiatives in place, The Cocoon Space is poised to be the most over-arching fashion-skewed initiative in Singapore since the PARCO next NEXT programme that ran from 2010 – 2014. Applications for The Bridge Fashion Incubator programme is open from now till 3 May 2019. The Cocoon Space is located at Design Orchard at 250 Orchard Road.